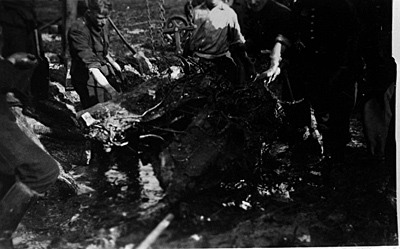 Lancaster III PB202 crashed at Førby Hede heath 30/8 1944. 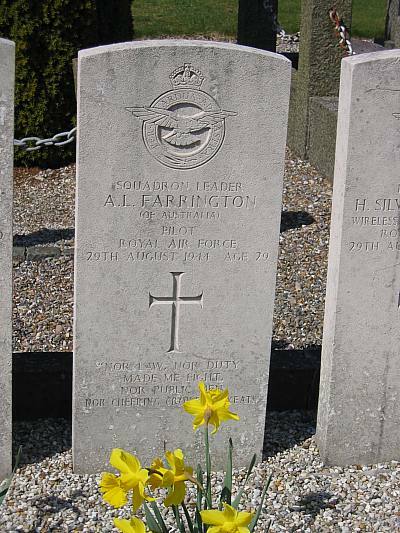 The aircraft belonged to RAF 582 Sqn. 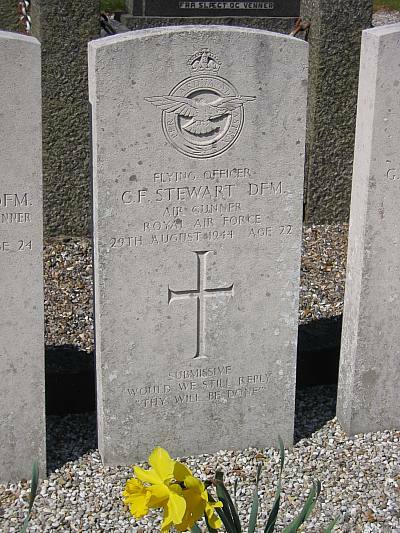 Bomber Command and was coded 60-E.
T/O 21:10 Little Staughton. OP: Stettin. 582 Squadron was part of No. 8 Group Pathfinder Force that had the task of marking the target for the rest of the Bomber command aircrafts. The load consisted of 3 1000 lbs. bombs and 10x4x7 inch flares. 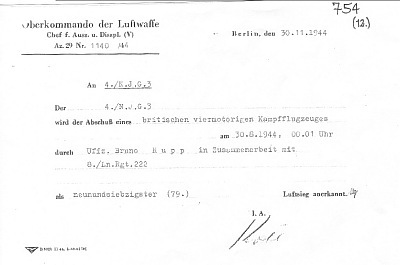 When the Lancaster approached the Danish west coast it was picked up by the radar of 8./Ln.Rgt.222 Habicht based at Hjardemål. The radar lead a German Ju 88G-1 night fighter piloted by Unteroffizier Bruno Rupp of 4./NJG 3 towards the Lancaster. The other two crewmembers of the Ju 88G-1 D5+AM were Eckert and Biell. Rupp attacked the Lancaster at 3600 metres and at 00:01 hours Lancaster PB202 crashed at Førby Hede heath. It came down vertically north of Førby Sø lake killing all onboard. It was Rupp`s eleventh claim. 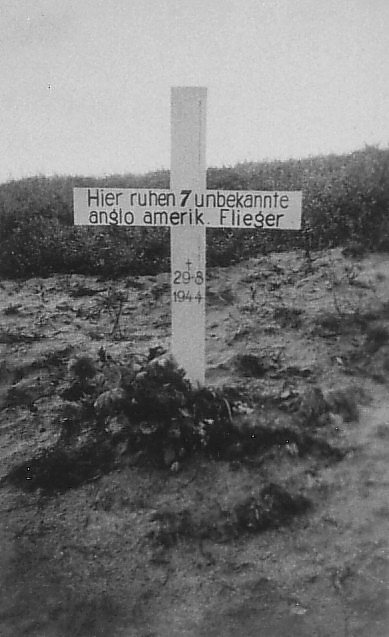 During the next day, the Wehrmacht buried the deceased flyers not far from the crash site and placed a simple wooden cross on the grave. 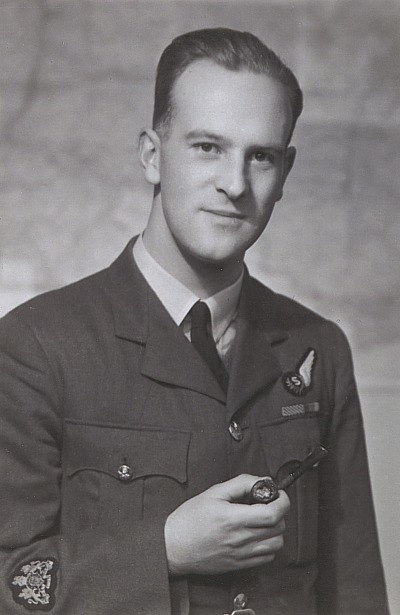 Pilot Sqn Ldr. 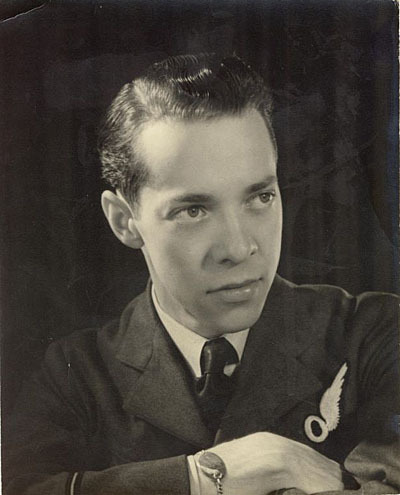 Allan Leonard Farrington 40046. Son of Cyril Hawley Farrington and Ellie Farrington. Married to Alison Jean Farrington nee Barbour of Balgowlah, Sydney, Australien. 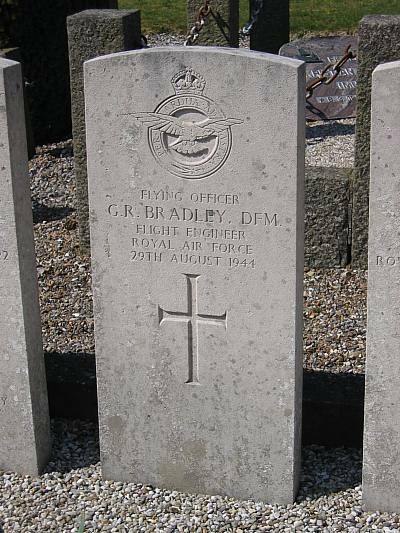 Flight Engineer F/O George R. Bradley DFM 53275. 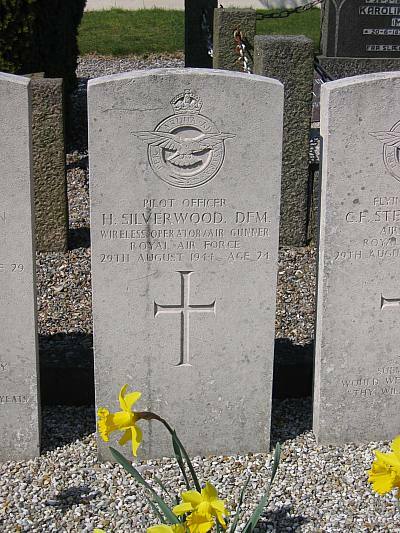 Wireless Operator/ Air Gunner P/O Henry Silverwood DFM 56185. 24 years old. Son of Arthus and Mary Jerome Silverwood of Shipley, Yorkshire. 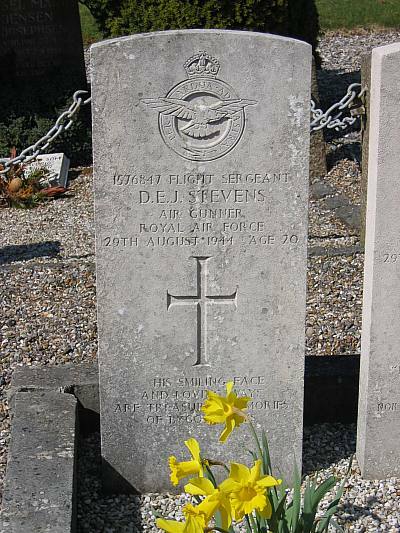 Mid upper Gunner F/Sgt Douglas Edward John Stevens 1576847. 20 years old. Son of John Richard and Sarah Stevens of Yardley, Birmingham. Married to Winifred Stevens. 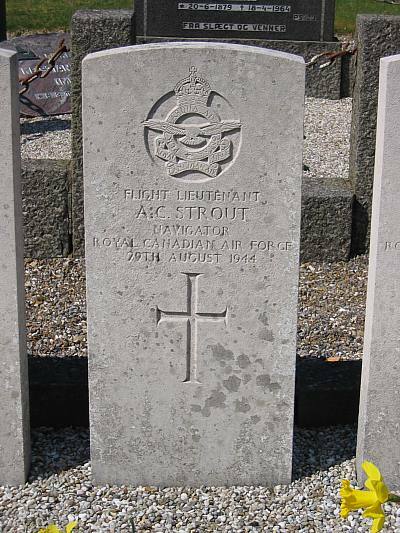 Rear gunner F/O Charles Fullerton Steward DFM 169048. 22 years old. Son of William and Sarah Black Steward of Clogher, Co. Tyrone. 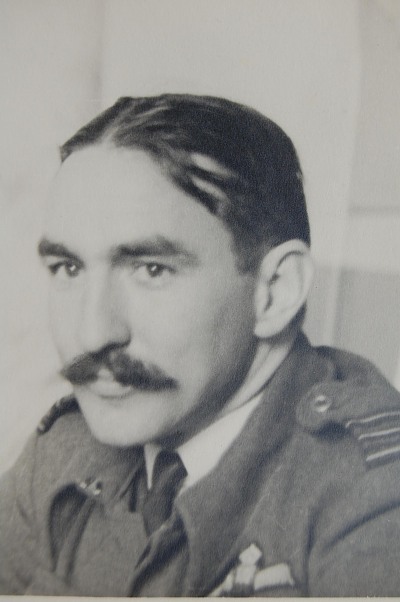 Navigator F/Lt Alfred Carman Strout (RCAF) J/9481 of Pembroke, Ontario, Canada. 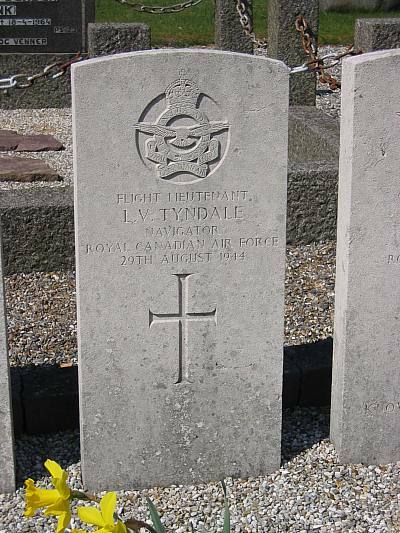 Navigator F/Lt Lorne Vincent Tyndale (RCAF) J/13758 of Winnipeg, Manitoba, Canada. On 8/9 a team of three trucks and personel of Nordjydske Udrykningskolonne in Sindal arrived to clean up the crash site after the Germans had removed the major parts of the wreck including two engines. After two days the team returned to Sindal after having cleaned up the place and having recovered two engines. They had also found the time to give the grave a more civilized look. 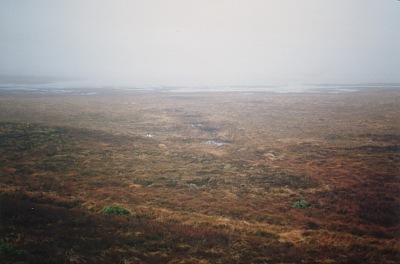 Head of Dunes Axel Rasmussen, Søholt had noticed where the German buried the crew and informed the head of Police in Thisted about what had happened. 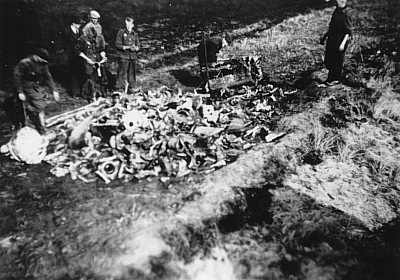 After the liberation of Denmark a fence was put around the grave to protect it from foxes. 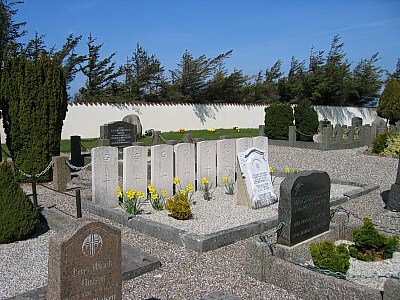 On 3/2 1947 the remains of the crew were disinterred, placed in coffins and taken to the nearby Nørre Vorupør Vestre cemetery. 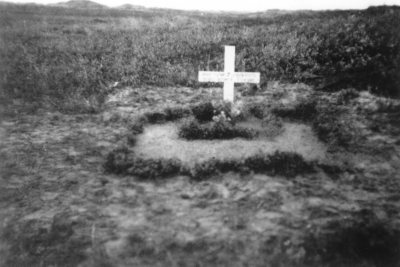 Sources: UA, CWGC, AS 53-630, LBUK, AIR 27/2052, Beredskabsstyrelsen Nordjylland.